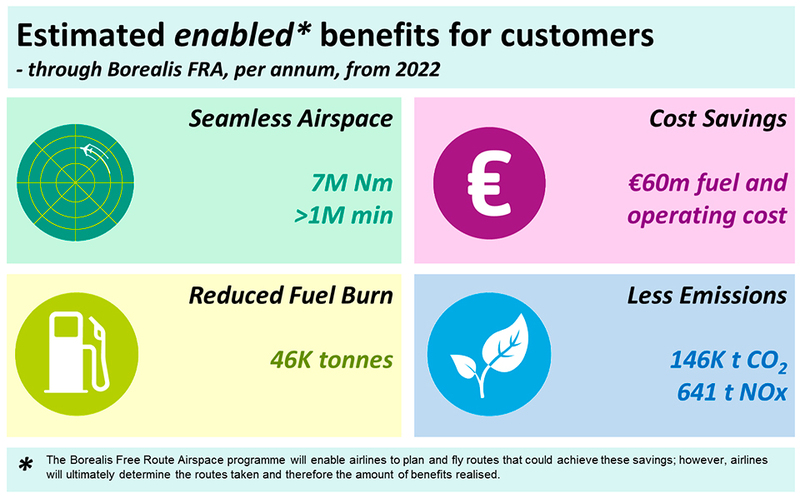 The Borealis Alliance Free Route Airspace (FRA) programme will enable airline and business aviation customers to plan and take the most cost effective, fuel efficient and timely routes across the entire airspace managed by Borealis members saving time, money and fuel. The Borealis Alliance FRA programme is a major step forward in delivering the European Commission’s vision of a Single European Sky and Borealis Alliance members are working with their National Supervisory Authorities and EASA to encourage greater regulatory cooperation in order to ensure Free Route Airspace in Northern Europe is safely introduced as quickly and as efficiently as possible. 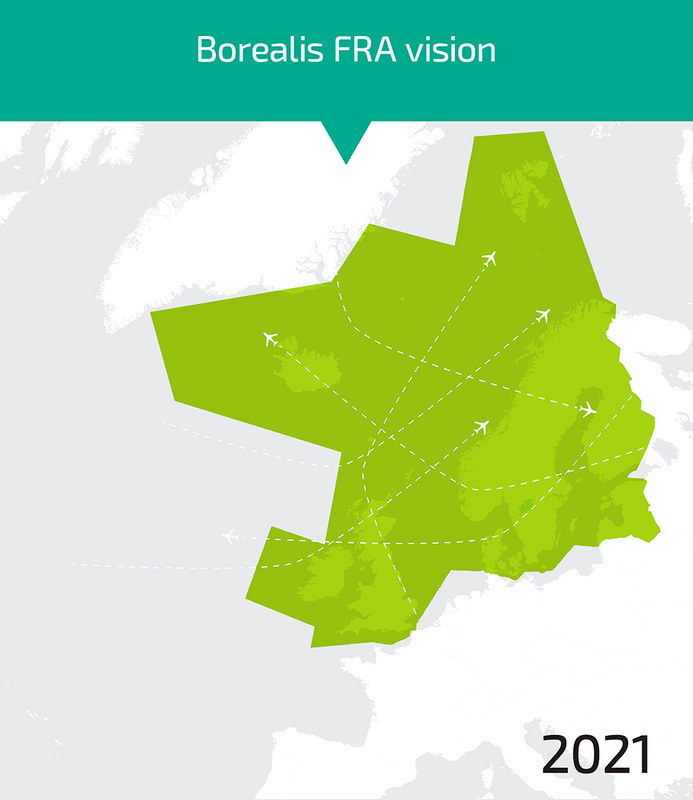 The Borealis Alliance Free Route Airspace programme will build on work initiated through the three existing Functional Airspace Blocks (FABs) – the Danish-Swedish, North European and UK-Ireland FABs – and the North European Free Route Airspace (NEFRA) programme, but is voluntarily being expanded by the ANSPs and extended to include Icelandic airspace to maximise the benefits for customers. 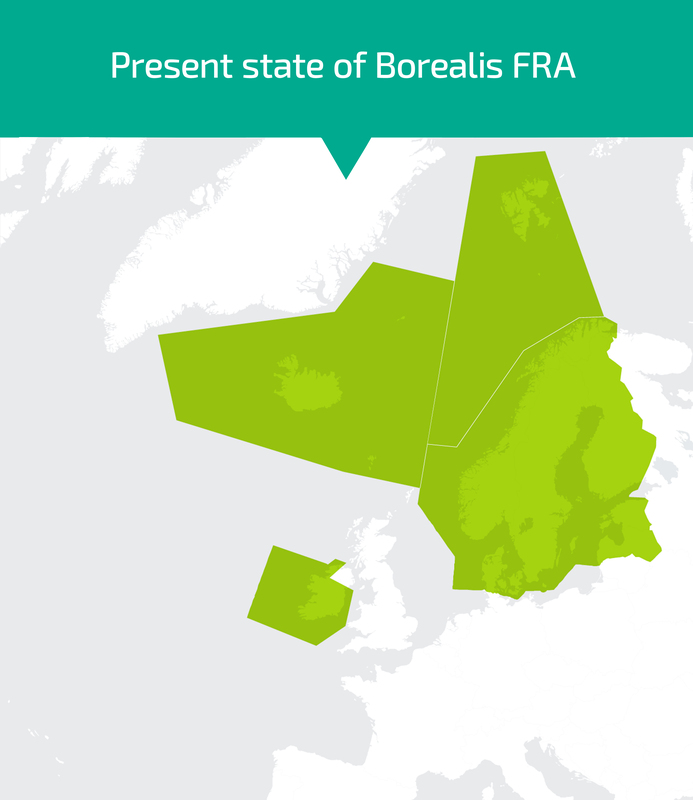 Interview with co-chairs of the FRA Project Group - June 2017 from Borealis Alliance on Vimeo. Borealis Alliance - 9 State NSA Group from Borealis Alliance on Vimeo.